Do you love fixing things around the house without necessarily looking for a professional handy man? Do you love Do It Yourself (DIY) projects? Do you love the idea of a power tool that has multiple functions that is easy to handle without the messy cabling? If your answer to any of these questions is yes then the cordless rotary tool is exactly what you need. The cordless rotary tool works exactly like a regular rotary tool but without the power cord. In a cordless rotary tool you put the type of bit at the tip of the tool depending on the function. For instance you will put a sanding bit for sanding functions, a sharpening bit for sharpening and so on. A cordless rotary tool is loved by most homeowners because they are compact and easy to store and handle. Since most repair or replacement jobs around the house are small you will find that the cordless rotary tool is just what you need. 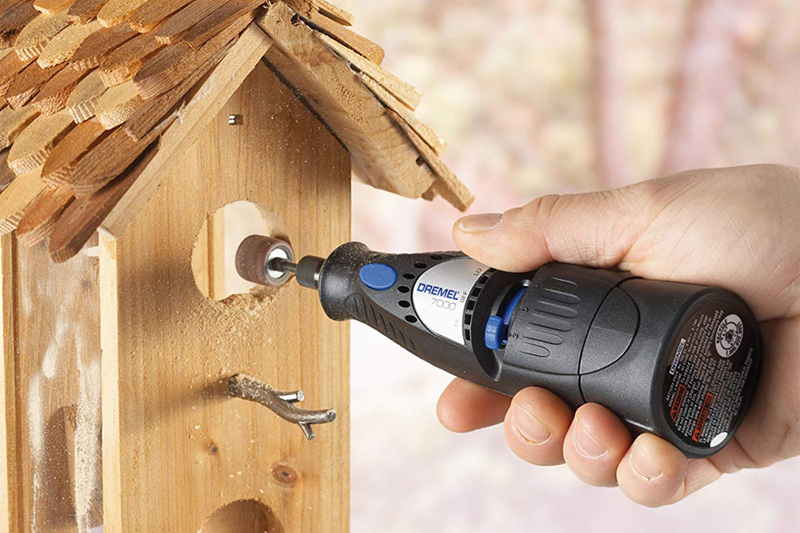 This is a great cordless rotary tool from legendary rotary tool manufacturers Dremel. When shipped the package weighs in at 4.4lbs. The tool features a 12v battery and comes with a 1 hour charger. The tool has a slim body that is ergonomically correct which means that you can use it for long hours without getting fatigued. It is designed for easy accessory changes facilitated by the quick collet lock. 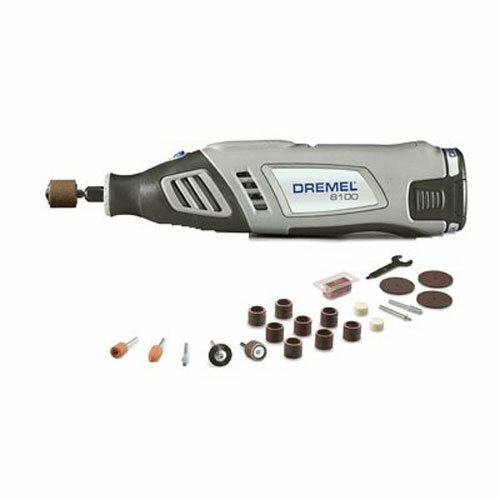 The device can use all Dremel accessories which is good especially if you have previous models. The kit contains 28 accessories as well as a heavy duty carrying case. It also comes with a 1 hour charger and battery of 12V. It has a powerful motor for even the most demanding functions. 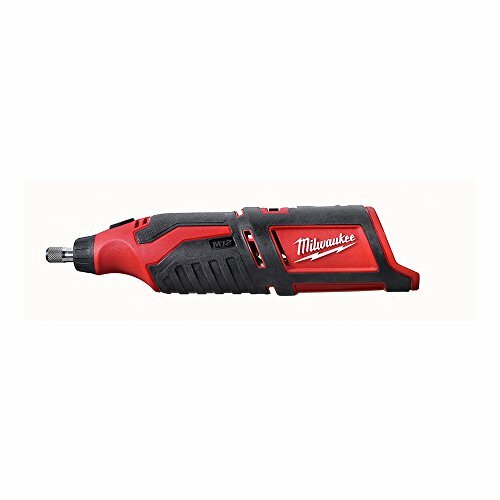 The Milwaukee 2460 is a wonderful rotary tool from Milwaukee. It is a 12 Volt cordless rotary tool and uses a 1/8 inch collet. This collet is actually compatible with all the current accessories for rotary tools. The tool has variable speeds ranging from 5000RPM to 35000 RPM. This is a lightweight tool which is also quite compact weighing 1.3lbs and being 9.5inches long. The tool has exhaust ports that resemble that of a grinder which protect the bearings and enhances the life of the tool. When shipped the kit weighs in at just 1.2lbs which is quite light. An important thing to note is that for this tool the battery as well as charger are sold separately. With that being said the tool is generally great and you will enjoy it. It has great balance and a solid feel. The Dremel 8100 is another amazing tool from Dremel. It is an 8 Volt cordless rotary tool and has variable speeds ranging from 5000RPM to 30000RPM. The 8V battery is great for a variety of functions with great output and the tool has excellent handling provided for by the comfort grip housing as well as providing better control for the tool. When shipped the package weighs in at 3.3lbs. Best of all it comes with the battery included which is unlike others from other manufacturers. It is designed to be compatible with all Dremel accessories as well as most attachments (Threaded). The tool is a must have for you and all your small jobs around the house. You will also enjoy the compatibility with other accessories which means that you won’t to buy those specifically for this model.